Duo-Lock Felt and Rubber Non Slip Area Rug Pad | 1/4″ Thick Felt Rubber Non Slip Area Rug Pad are specially designed for use with rugs on carpet. 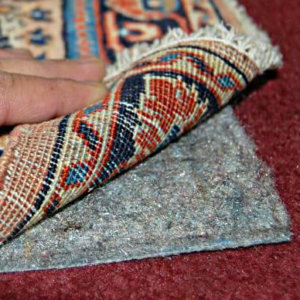 Rug pad extends the life of your area rugs and carpets as well as adds cushion. 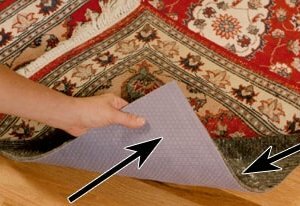 Therefore we recommend rug pad for all rugs and carpets. 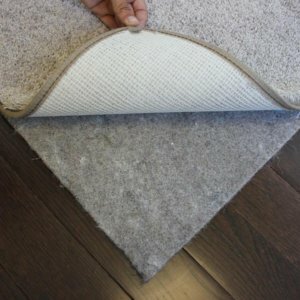 Duo-Lock Felt and Rubber Non Slip Area Rug Pad also helps area rugs on hard surfaces to help prevent rugs from shifting and bunching. In addition, Duo-Lock has a Needle punched fabric surface – Rubber backing. 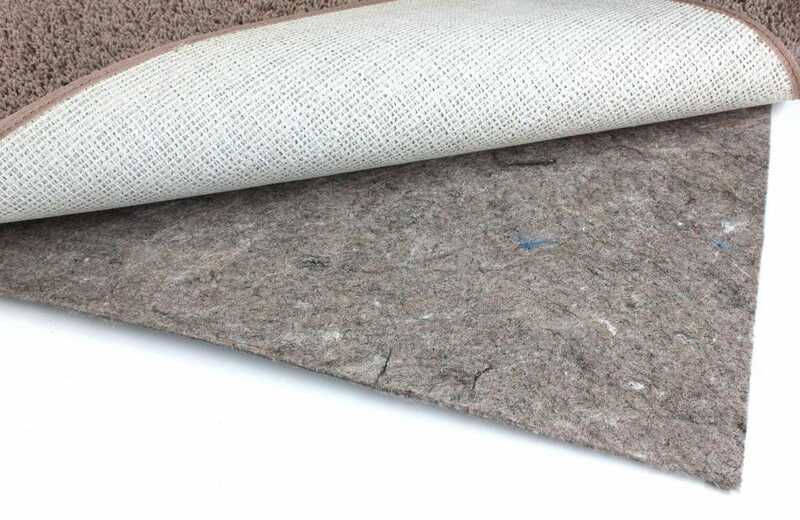 Duo-Lock Felt and Rubber Non Slip Area Rug Pad is non slip on all surfaces. 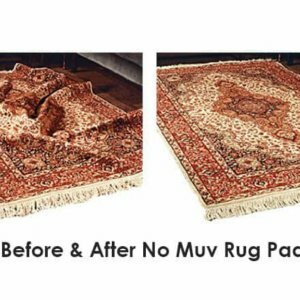 Also Reversible to keep Area Rugs Flat on Carpet. Made in U.S.A.
Industry standard: 2 inches cut all around. Type in the size you need above. 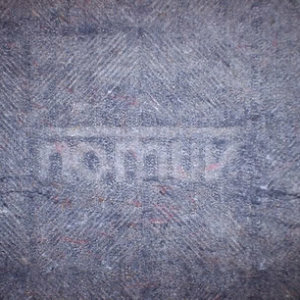 Bought two rug pads for two runners and am happy with my purchase. Found that runners have a tendency to move around when people walk on them or a young dog bounds across them. 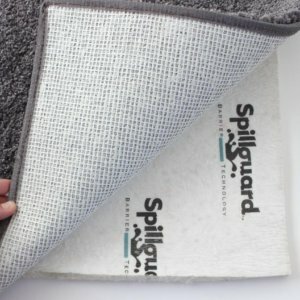 These carpet pads do their job and keep the runners in place on a hardwood floor. Liked that the rug pads could be cut to a requested size. 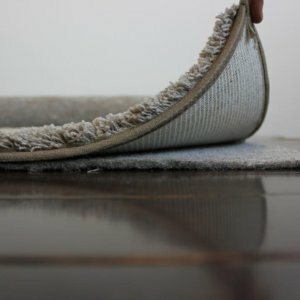 When the order was placed, I gave measurements so the rug pads could each be cut to a size that was a little less than its corresponding runner.